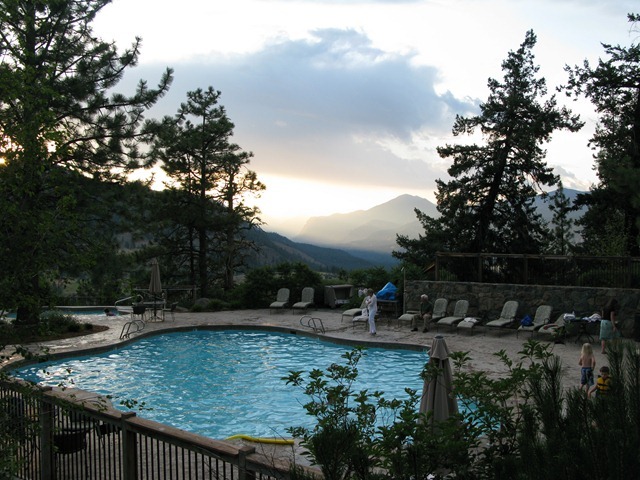 This was day 2 at Sun Mountain lodge in Winthrop, WA, 7/24/09. Read Day 1 here. 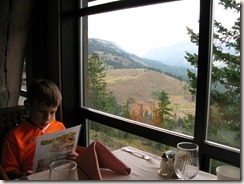 The boys and I got up early (early for us is before 9:00) and went to breakfast at the Sun Mountain Lodge. Cam and I ordered the Eggs Benedict (the hollandaise was a little too sour for us -- too much lemon?) and Drew got the pancakes. 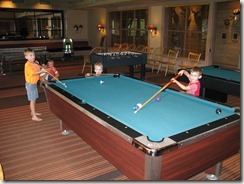 After breakfast, we went to the game room, where we played ping pong, pool, and foosball. 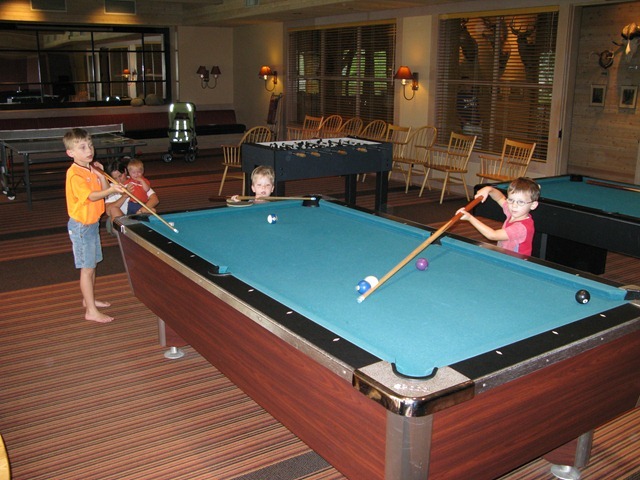 Cameron really got into learning how to play pool, but Drew kept interfering. So we left. 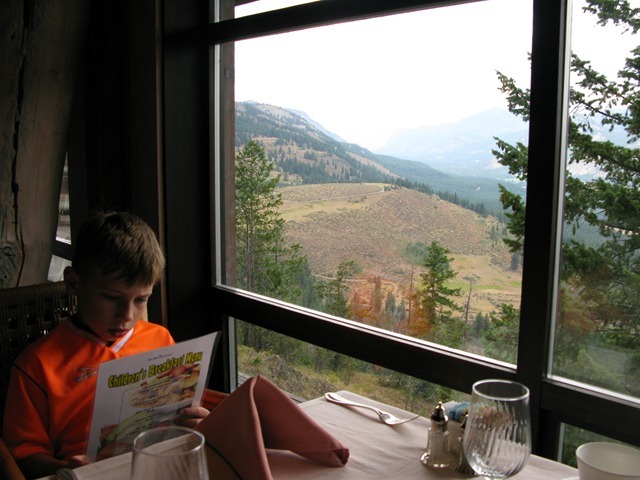 After playing in the game room, we drove to Winthrop -- about 10 miles from the Sun Mountain Lodge -- and then on to the North Cascades Smoke Jumper base. 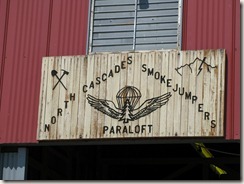 This is the actual base where smoke jumping was invented. 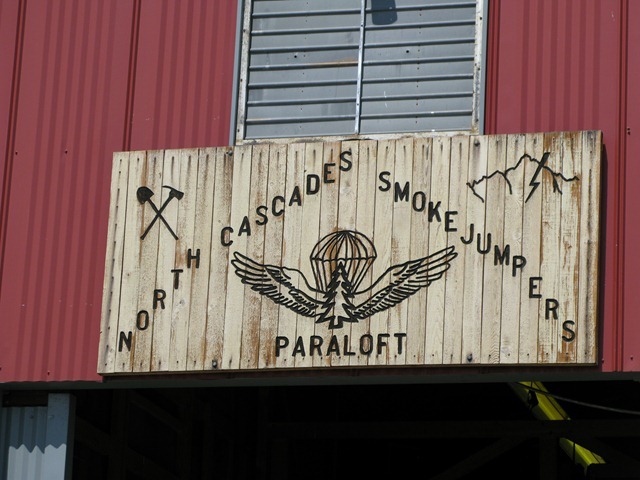 In short, Smoke jumpers parachute out of airplanes and then create a fireline against a current blaze. As you can imagine, it's dangerous, difficult work. 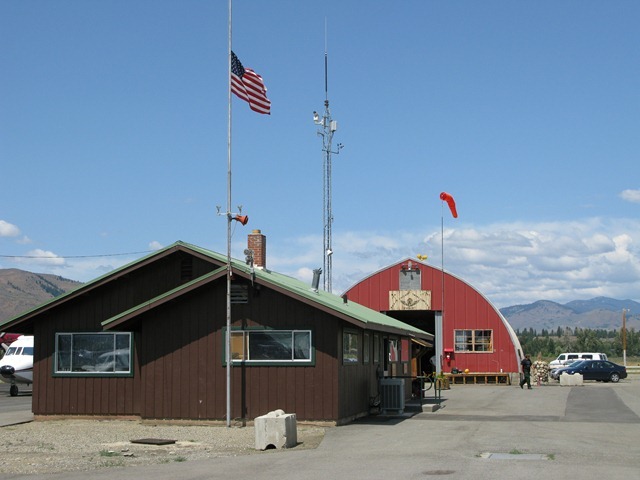 On this particular day, there was a lot of activity around the base. 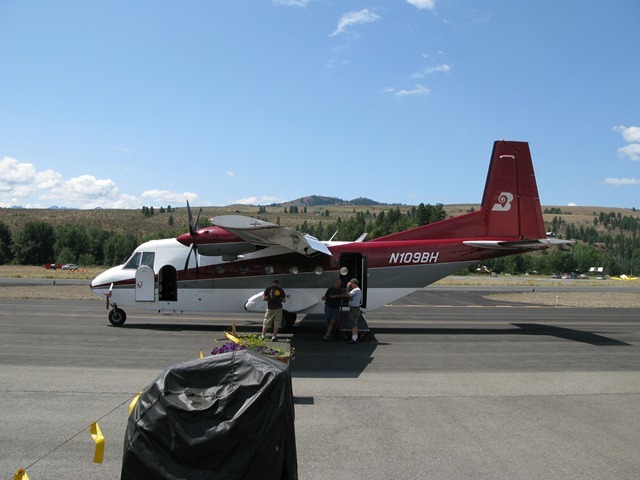 Thunderstorms from the night before had started fires all over the Cascade Mountains, and smoke jumpers from Oregon and elsewhere were coming to help out. 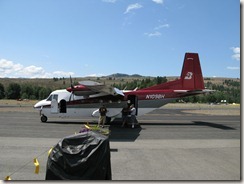 Helicopters were landing to pick up water to drop on fires, and other airplanes were landing. 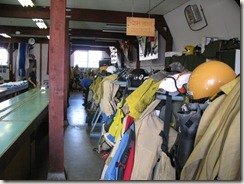 One of the great things about going to the smoke jumper base is you get a tour from a smoke jumper. 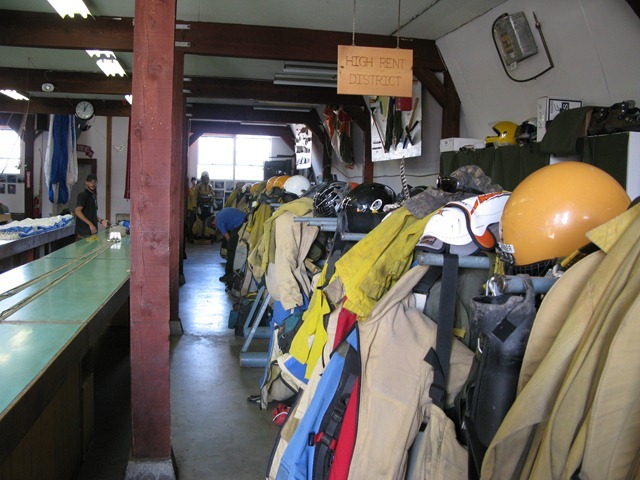 The smoke jumper paraloft, where they store their equipment and parachutes, always reminds me of the shellhouse at the University of Washington. Smoke jumpers and oarsmen also have similar personalities and physiques. Later, when we came back from lunch we found a lone deer standing on the grounds. A bunch of people got pictures with the deer (as if she was a celebrity), but I told the kids to stay away from her. 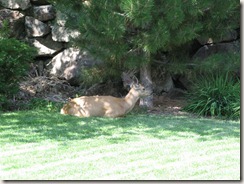 Then, the deer did something totally unexpected: She lay down. 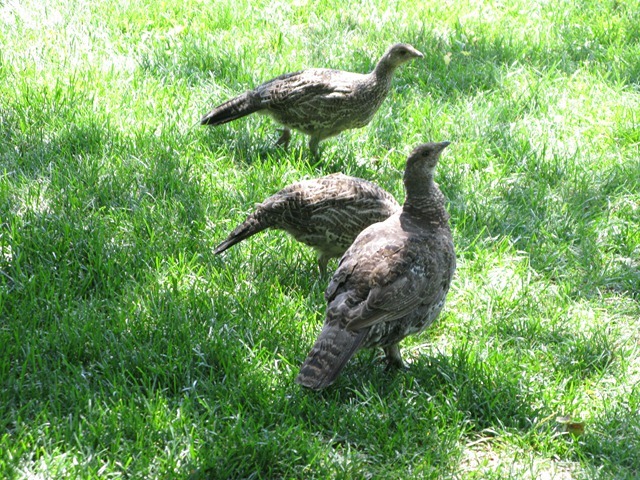 This made me realize how comfortable they are at Sun Mountain -- even if tourist do like to take pictures of them. Due to more thunderstorms and rain, the barbeque that's usually held at the lake was moved to the lodge. This was the same place we'd eaten the night before. 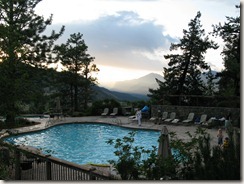 We ate with the chair of the board, his wife, and their two grandchildren -- as we were going to watch the kids after the BBQ so Bud and Bonnie could hold a wine tasting in their room. 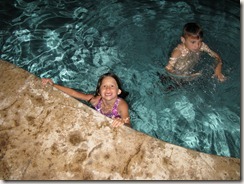 The kids went to the pool and swam until close to 10:00 p.m.! 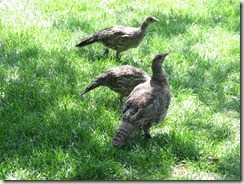 I went in with them, but the pool was surprisingly cold due to the cool weather we'd been having. 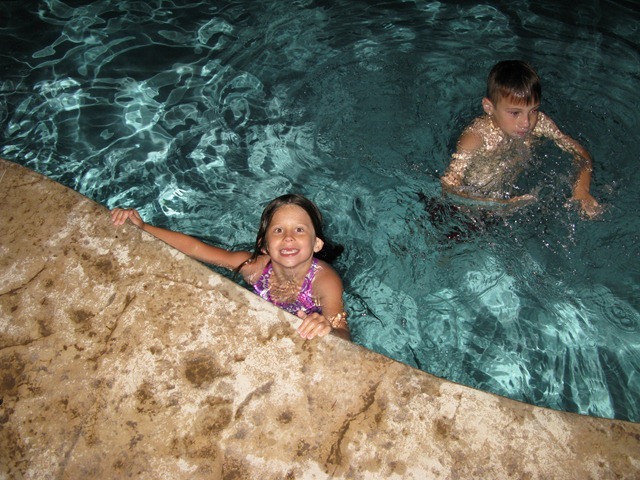 I spent most of the time in the hot tub. After that, the kids watched a movie and when the grandchildren left our room, Cam and Drew fell asleep in minutes.